The Woodward’s Windows are a treasured part of Vancouver’s history. Originally displayed in the Woodward’s department store in downtown Vancouver, the windows feature classic holiday scenes with animated characters and elaborate décor. Handcrafted in the 1960s, the displays include The Candlestick Factory, Santa’s Workshop and The Lamplighter. Following the closure of the Woodward’s department store, Canada Place purchased the displays in 1993. 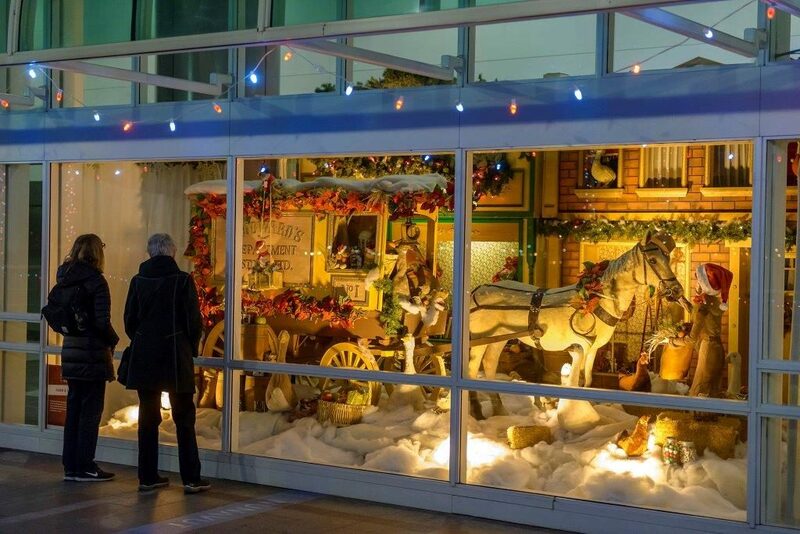 We continue to incorporate the displays into our Christmas event each year, offering a nostalgic experience for those who remember seeing them displayed in the store and excitement for those seeing them for the first time. The Woodward’s Windows will be on display as part of Christmas at Canada Place, presented by Port of Vancouver, along The Canadian Trail (west promenade) at Canada Place.